We are counted amongst the leading manufacturer and supplier of premium quality Octo Line Skin Rejuvenation System in Chennai, Tamil Nadu, India. These are manufactured using premium quality raw materials as per the existing industrial standards at our production unit. 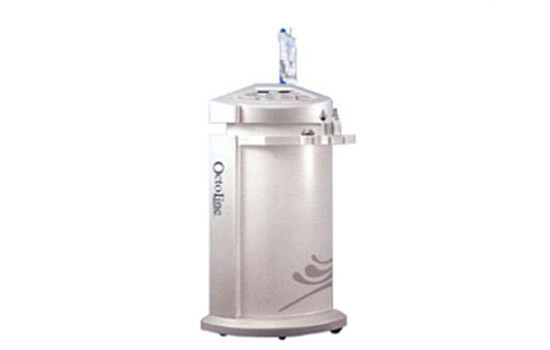 These Octo Line Skin Rejuvenation System are a well-known product that is used by the hospital. These are available to the customer in various specifications at affordable market prices within the specified time period. These Octo Line Skin Rejuvenation System are quality-tested prior to dispatch on several parameters. Different applicators for the best skin care Ultrason(3MHz) Mode Sono Mode Ion Mode Oxy Spray Mode Oxy Jet Mode Features Auto set programs for individuals Simple and Easy Operation User friendly operation Soft touch buttons Powerful Oxygen Compressor generates Oxygen No needed to recharge oxygen in the tank Simultaneous use of 3 modes Use three persons at the same time Efficient and Economical Glossy, elegant and modern design.